Fibroblasting plasma skin tightening requires no surgery and has instant effects. 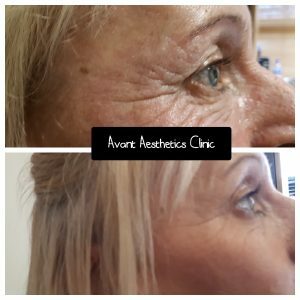 It tightens excess skin, hooded eyes, eyes bags, lines, wrinkles and scars. Fibroblasting utilises the clients own plasma in conjunction with the ionisation of gases to contract and tighten the skin, thus resulting in the reduction of skin surface. There are no incisions, cuts or stitches, and no scarring. The treatment involves placing tiny spots of controlled heat on the skin. surrounding skin is unaffected and no scarring occurs. In contrast to traditional surgery, the areas cannot be overlifted. Fibroblasting works on a completely different mechanism of action. It maintains the vitality of the tissue, and to much better effect than other methods of skin tightening such as laser and cryotherapy. No bleeding will occur with fibroblasting, extra skin on the eyelid is a very common patient complaint. With surgery (blepharoplasty) there is a standard procedure which can allow one eye to be more over corrected than the other. With fibroblasting the practitioner can sculpt the eyelid individually. As the probe used is extremely small, this allows the practitioner to target the small and hidden areas to achieve the best results. Although eyes are the most common area to treat, liplines, smokers lines, neck, decolletage, whole face and scars can also be treated. Treatments last approx 30-45 mins and results are permanent, lasting up to 3 years. Once treated, the skin will develop small crust like spots, which will fall off in 5-6 days post procedure. The skin underneath will be pink in colour, this can now be covered with makeup. The skin will return to its normal colour within weeks. Patients may require another treatment, 6-10 weeks later, depending on the severity of the area being treated.